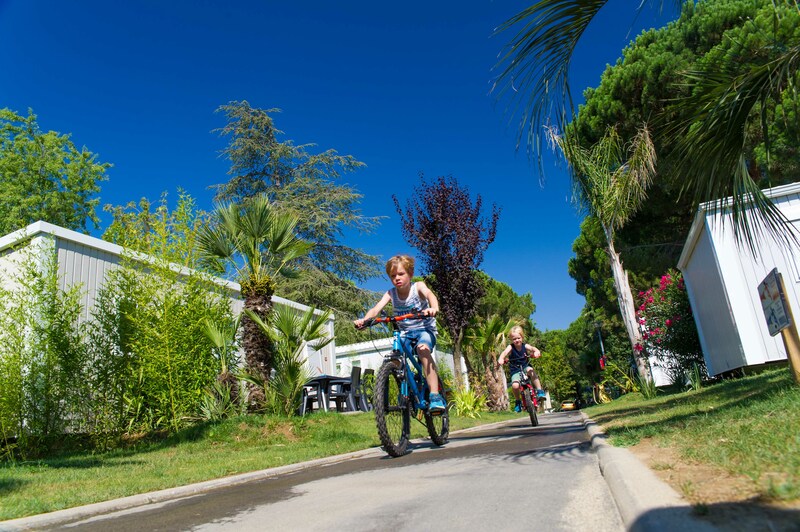 L'Hippocampe, 5-star campsite in Argelès sur Mer, is the favourite holiday resort for families in search of cosiness for an unforgettable holiday in the South of France. 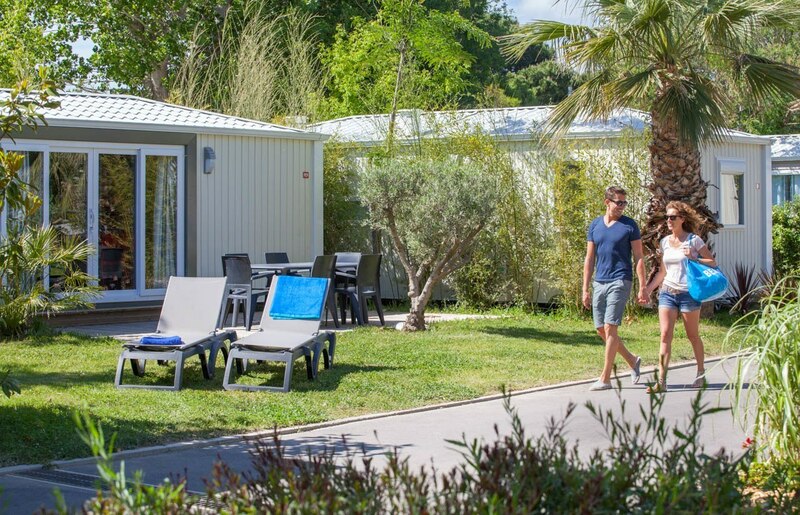 Enjoy at only 900 m from the beach and just in front of campsite La Sirène the peace, all the facilities of the 2 campsites, and even more. In 2017, all of the pitches will be completely renovated and set in a pedestrianised area. Leave your car in the car park at the entrance to the campsite, perfect for a quiet and safe holiday with the family. The 4 hectare property of l'Hippocampe is perfect for lounging and relaxing. 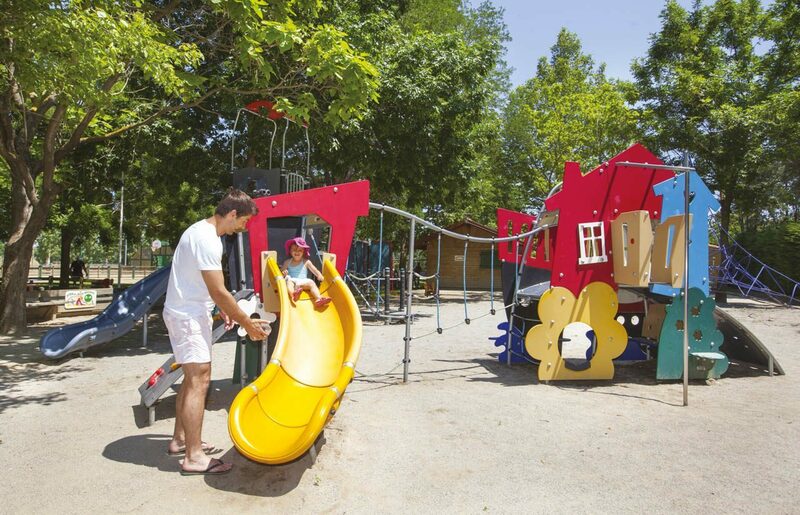 Come to discover its comfortable and fully equipped mobile homes, but also its family leisure facilities. Among these, a heated water park of almost 400 m². 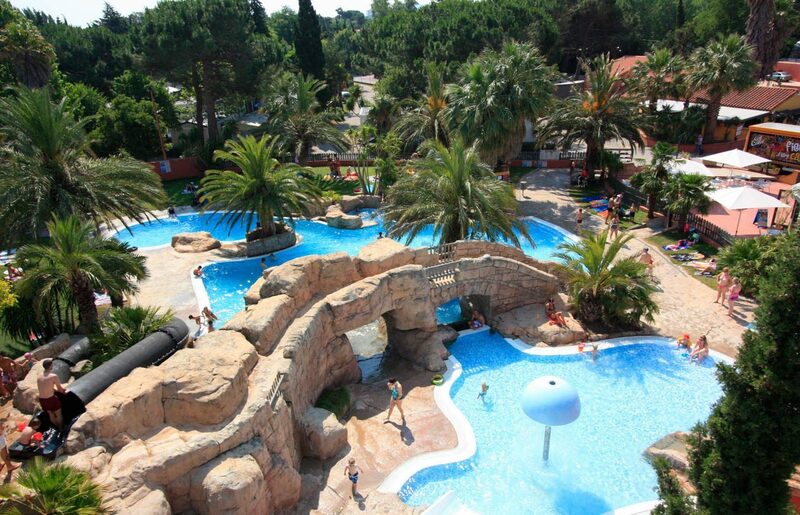 Real paradisical lagoon surrounded by palm trees, and with a special area for children. 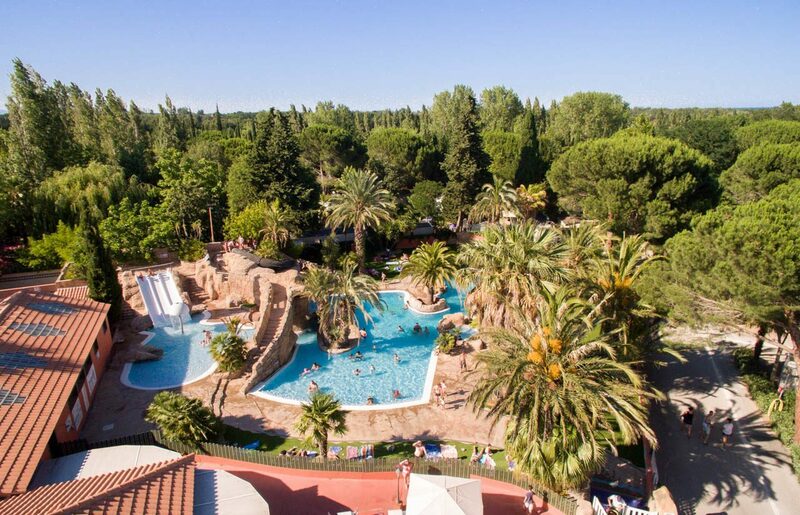 Campsite L'hippocampe also boasts a large sports complex "Sportippo" with a city Stadium, 2 football fields, beach volleyball field, ping-pong tables, a french boules field, playgrounds, etc. In 2016, this complex is expanding and there will be a new area for teens and an additional field for "beach sports". A bar with terrace allows you to take a refreshing drink and to enjoy various organised evenings during the high season (concerts, magic shows, etc.). L'Hippocampe also offers a free WiFi coverage throughout the property. 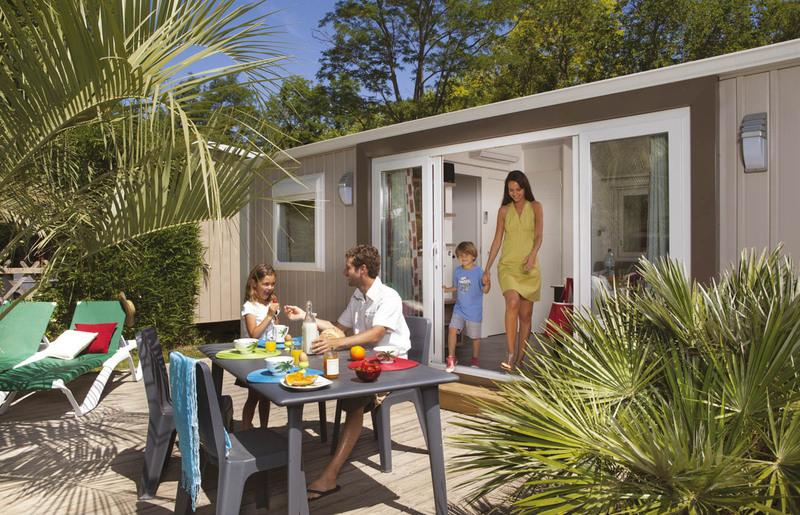 Enjoy also all the shops and services of La Sirene! 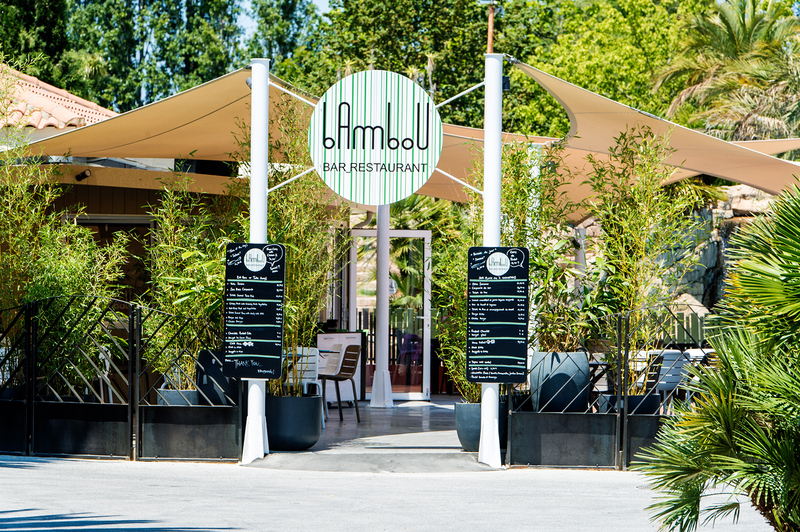 Welcome to the Bambou Bar and Restaurant, with its terrace or air-conditioned room where you can enjoy Asian cuisine or cool down with a cocktail. A variety of evening events are organised throughout the season: concert, magic show, etc. 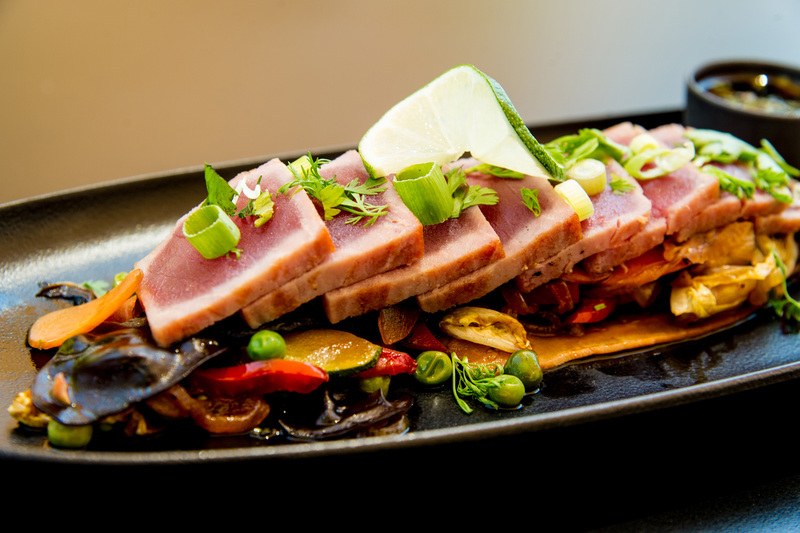 Your new restaurant also offers a choice of take-away dishes. 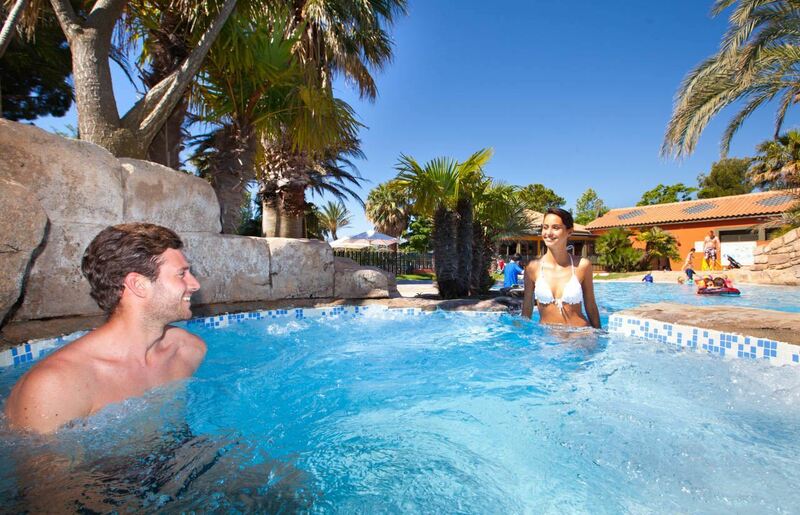 Our staff will be at hand if you have any special requirements concerning disabled guests..
All services and facilities (shops, sanitary blocks and leisure areas) are wheelchair accessible.